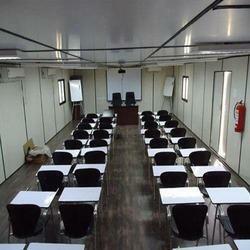 Manufacturer & Supplier of Container Training Room. Our product range also comprises of Portable Cabin, Portable Office Cabins and Portable Security Cabins. With the inclusion of advanced facilities in our well-equipped production unit, we are offering Container Training Room.